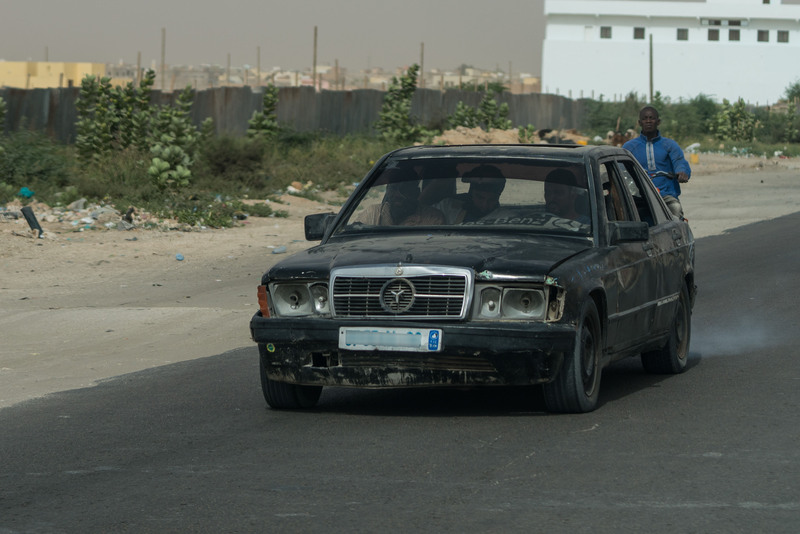 Developing nations have always been dumping grounds for the world’s aging automobiles. 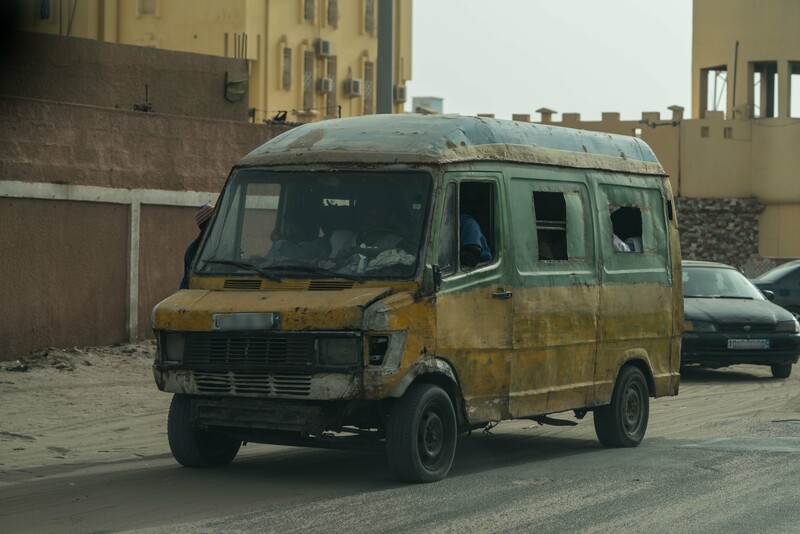 Visits to certain parts of Central and South America, southeast Asia, India, and Africa can yield bounties of rusting Toyotas and past-their-prime Chevys. 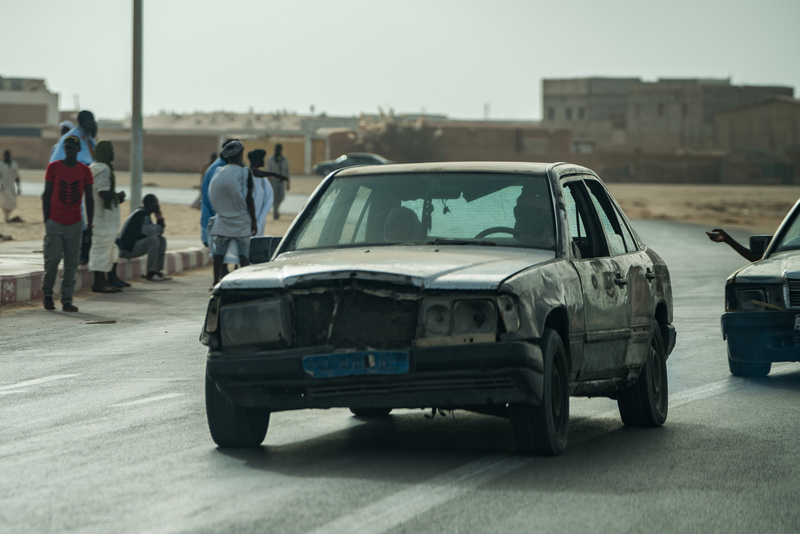 There’s an obvious logic to it, and for the most part the cars you see in these places are fairly well-maintained. They’re just old and a little banged up. 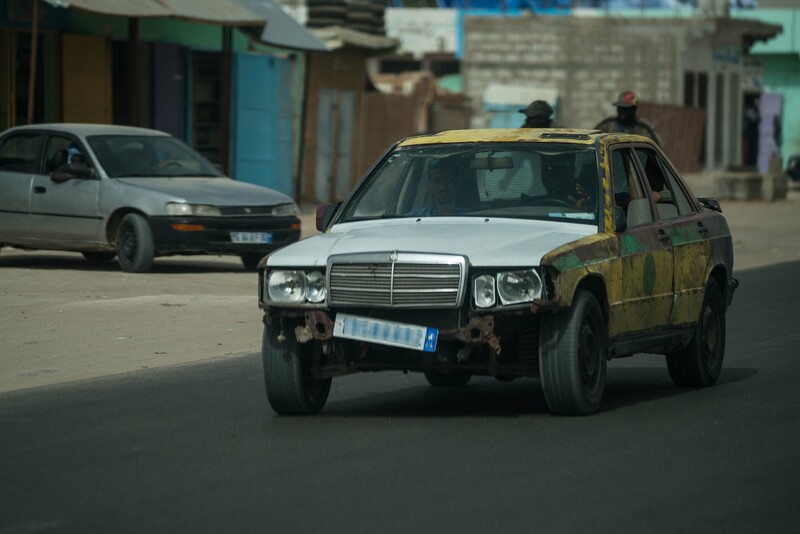 But then there’s West Africa. 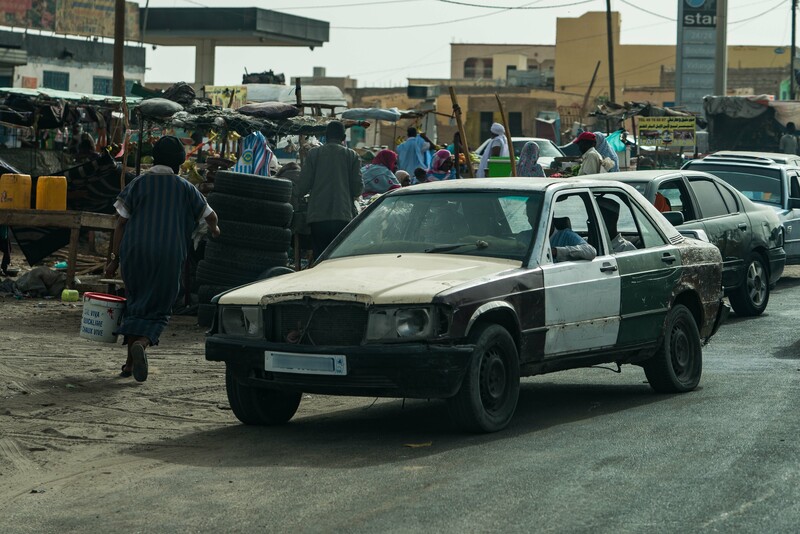 Mali, Senegal, Gambia, and about a dozen other countries that comprise this vast swath of mostly sub-Saharan continent all draw their share of used cars from the world’s markets, but they apparently don’t visit that trough quite as frequently as other regions. 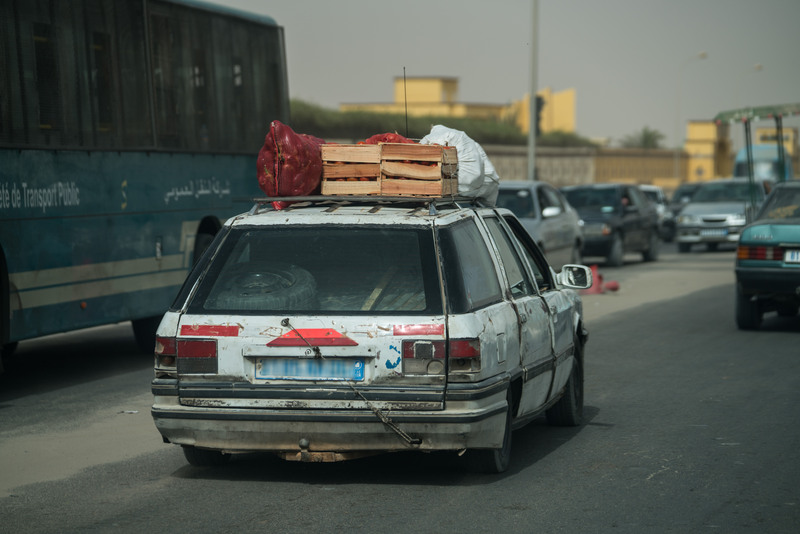 Their cars are typically even older than the global average, exhibiting wear-and-tear that surpasses anything you’d find careening around Indonesia or Mexico (or anywhere else). 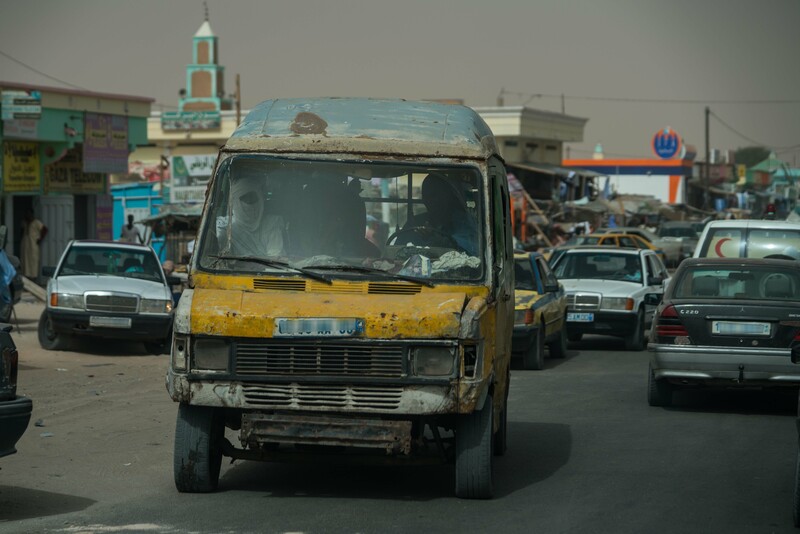 Nothing, however, prepared me for my visit to Nouakchott, the capital of Mauritania. 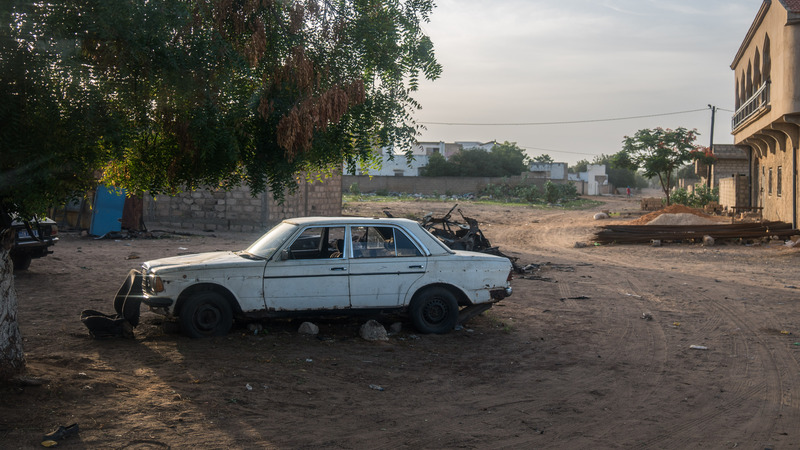 This isolated-but-sprawling African city of 1 million maintains—okay, maybe that’s not quite the right word—a fleet of decaying vehicles that defy description and beggar belief. Most don’t have functional headlights, taillights, or brake lights. 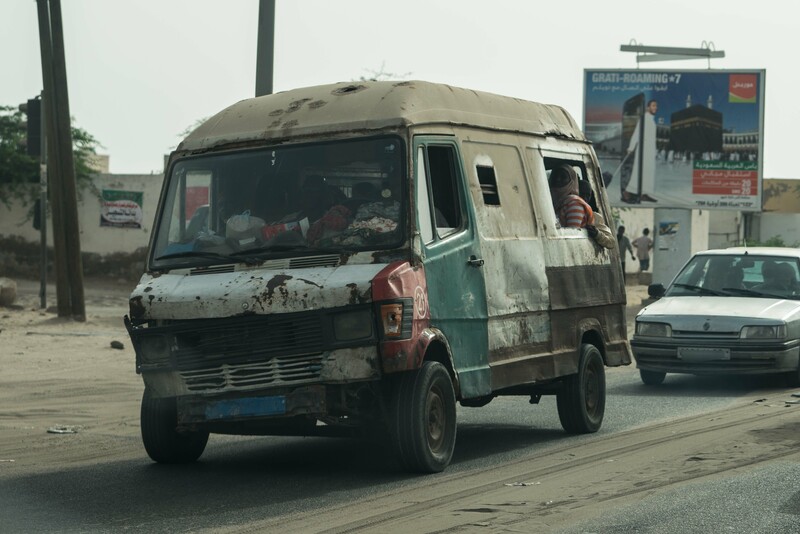 Bumpers are optional, as are windows. 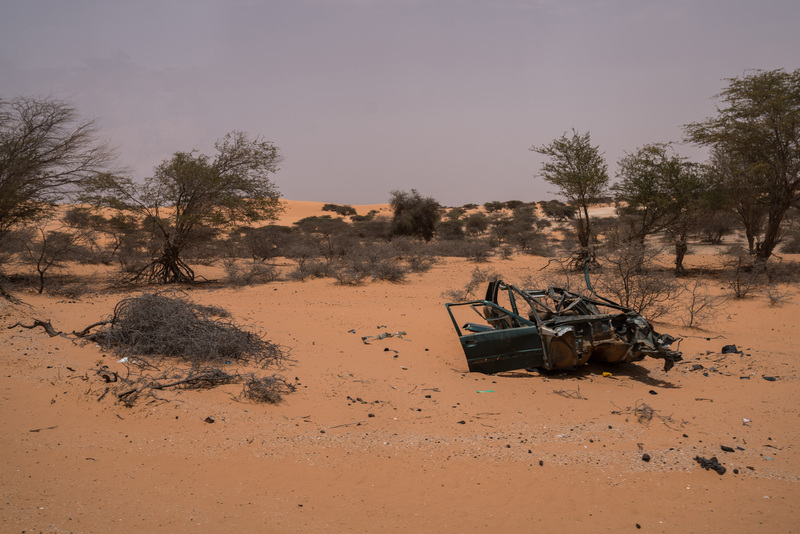 Quarter panels, doors, hoods, and trunks have clearly found sixth, seventh, or eighth lives long after their original source vehicles have given up the ghost. Wing mirrors hang limply by a thread, if they’re present at all. 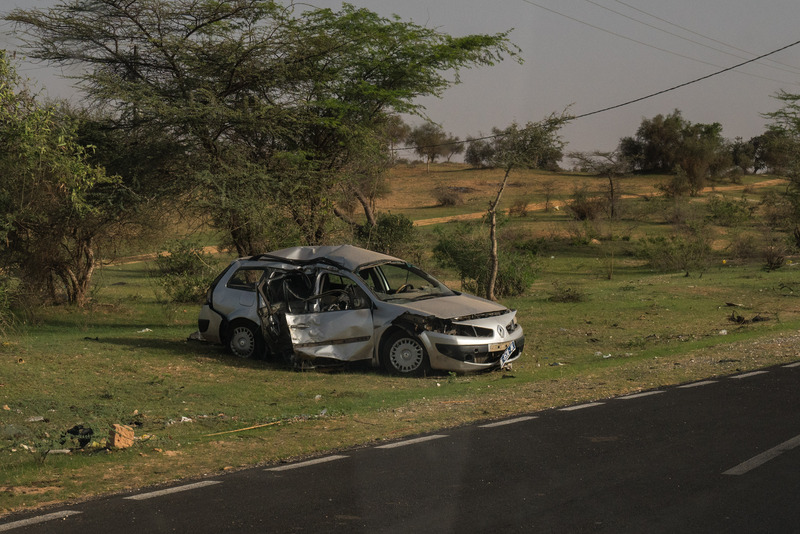 Windows may be gone, interiors gutted, suspensions crushed, and wheel camber cartoonishly varied between negative and positive even on the same vehicle. 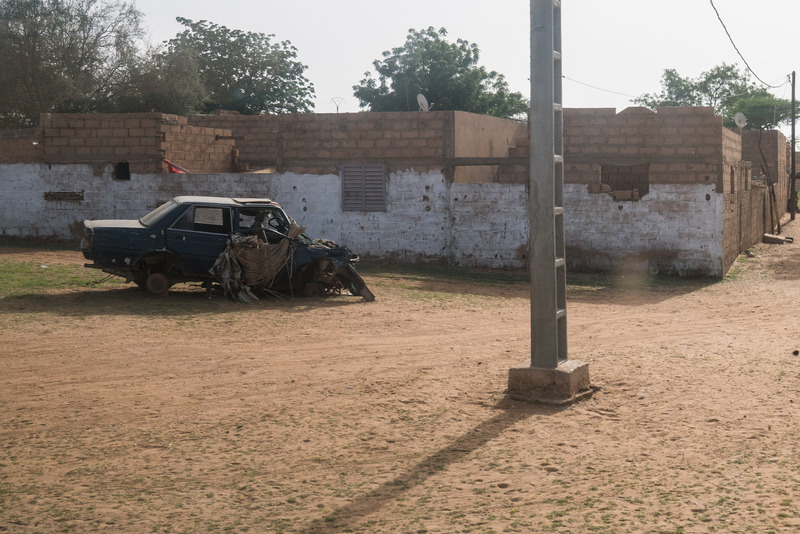 Fascias have Frankensteinian dispositions, with awkwardly installed headlights jutting out like the bulging eyes of a bloated corpse, grills caved like punched schnozzes, and bumpers strung perilously on the diagonal. Mind you, this isn’t a few vehicles that are being nursed along by faithful owners. Most cars are like this, with modern or at least all-original—or at least complete—cars being the rare birds on city streets. But what they lack in visual uniformity, they more than make up for in brand consistency. 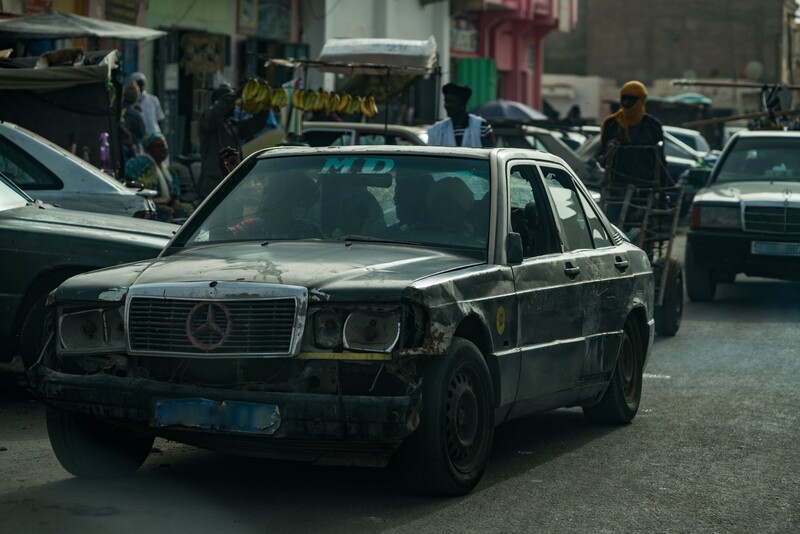 The Mauritanians have a fondness for Renaults—a vestige of French colonization—and Mercedes-Benzes, namely the 1980-era 190Ds so renowned for their durability and longevity. 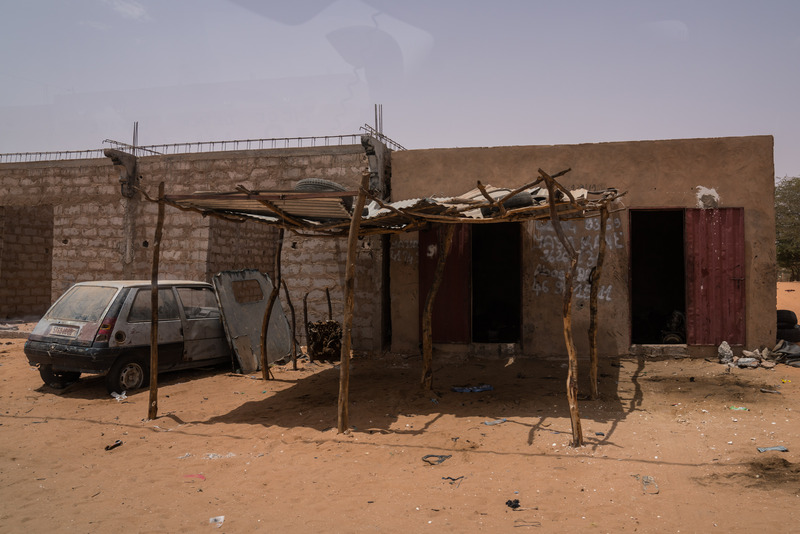 Here in Nouakchott, they’re everywhere, but mere ghosts of their former selves. This ability to push cars far beyond any reasonable lifespan, I've been told, has a variety of explanations. 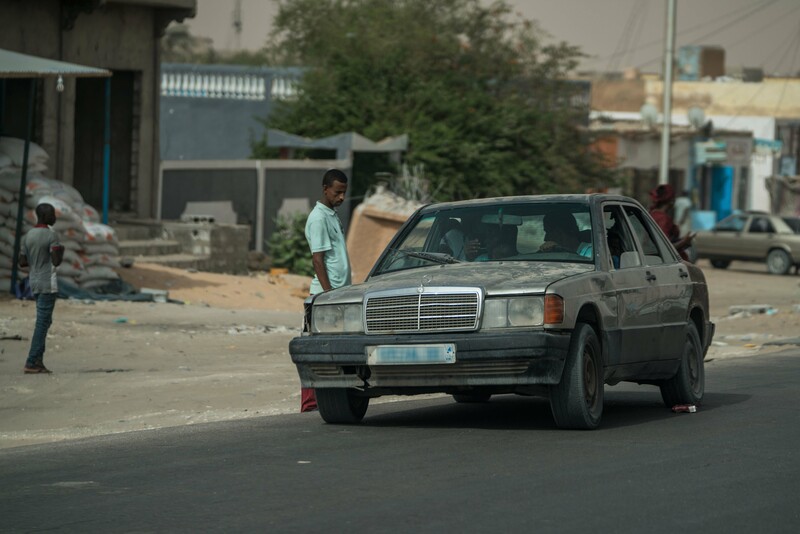 There’s the chaos of Nouakchott driving, where drivers brazenly disregard the rules of the road—I saw multiple incidents of “counter-flow” driving, better known to cyclists as "salmoning"—and there’s zero enforcement of whatever rules are present. Bumping and grinding is as common as at a high school dance, hence the overall d­­emolition-derby vibe of the place. 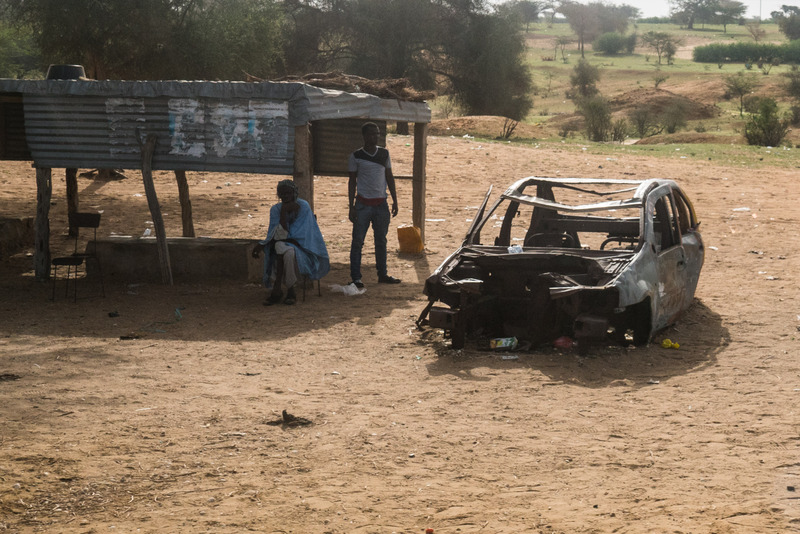 There’s also the country's economic situation: The poverty level is high, so cars must last as long as humanly possible...and then longer. 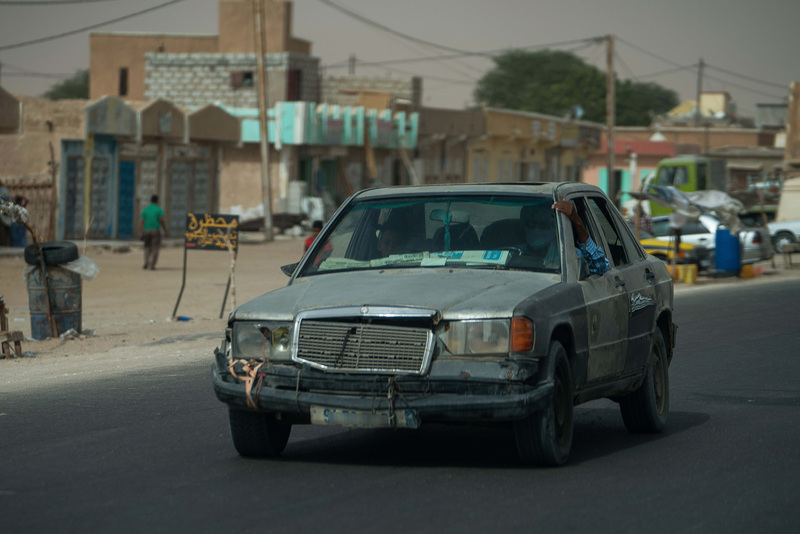 For that reason, Mauritanians have become masters of perpetuating vehicle life through part-swapping and kludged repairs. Finally, there’s the culture. Folks here simply do what works, and don’t particularly mind how their cars look or whether their alignment is off. In a way, it’s arguably the purest form of automotive use imaginable—making the cars last the longest with the least investment over their lifespan. Of course, what works for owners of strung-out machines as individuals may not be the best for the population as a whole. 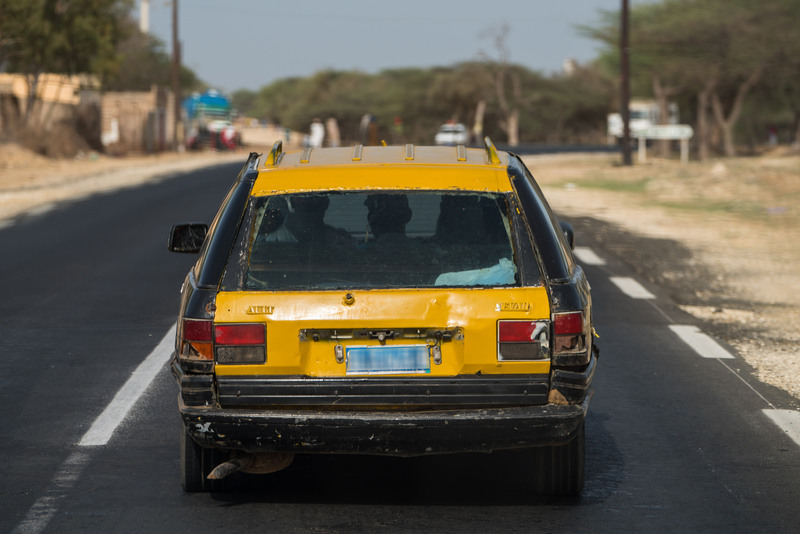 According to a report last year by international development enterprise Devex, the continued reliance on aging vehicles in developing nations has severe potential impacts on public health and safety, as the vehicles typically pollute much more than modern cars, and their lax maintenance makes them exceptionally dangerous to drive. 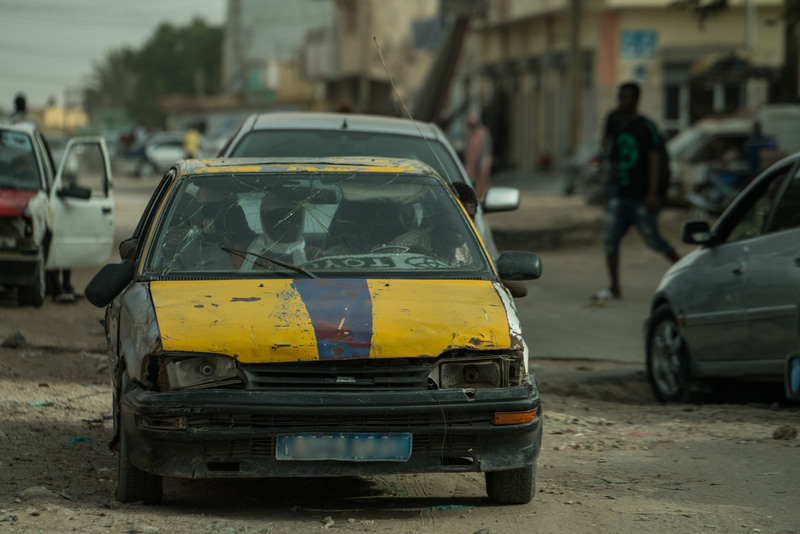 Global agencies like the UN, the World Bank, and the World Health Organization have been struggling to come up with solutions, encouraging the exporting nations to take responsibility for the cars’ emissions and to encourage reclaiming and recycling of the vehicles—though that obviously has negative consequences for the countries that need them. 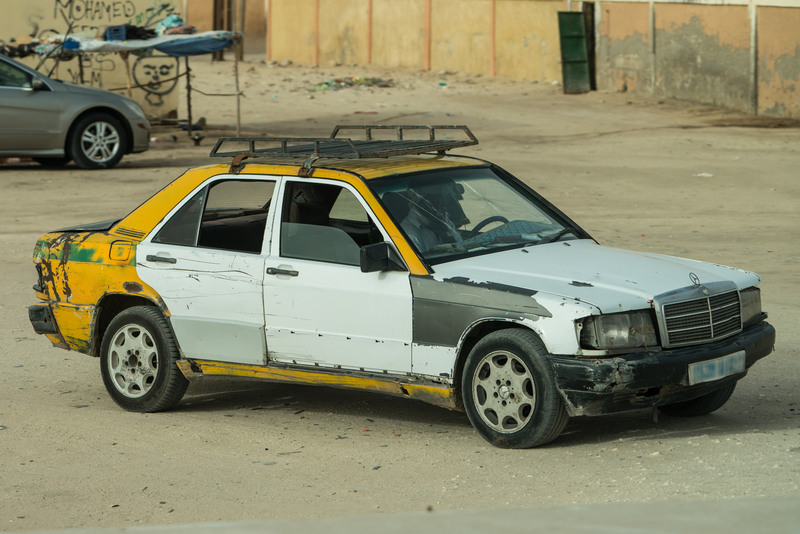 For their part, auto manufacturers from around the world routinely show off low-priced cars designed specifically for developing nations, but few tend to see the light of day—and those that do are still far more expensive (and likely far less durable) than an old beater Benz, anyway. 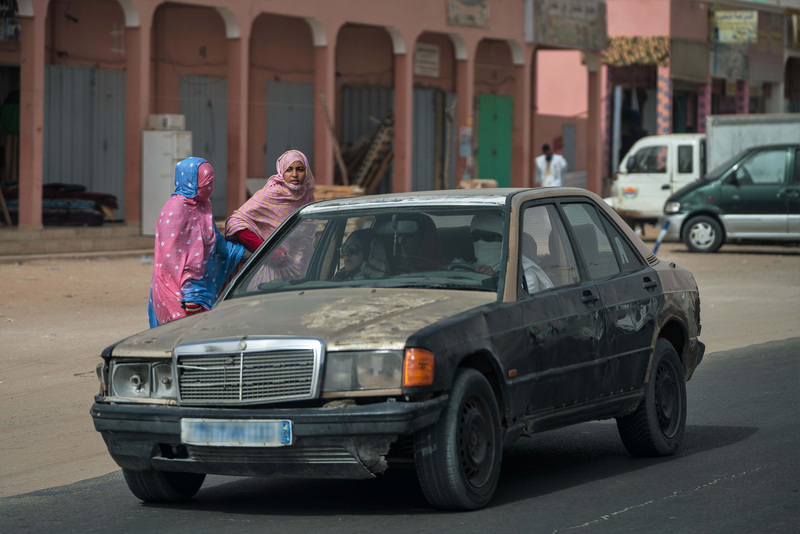 In any other context—and were it not for the generally ghastly sight of these cars—such epic longevity would probably make the likes of Mercedes and Renault quite proud of their products. But the optics just aren’t good, and the truth is that observing this ocean of zombie cars first-hand, while in some ways awesome, is also pretty disconcerting. 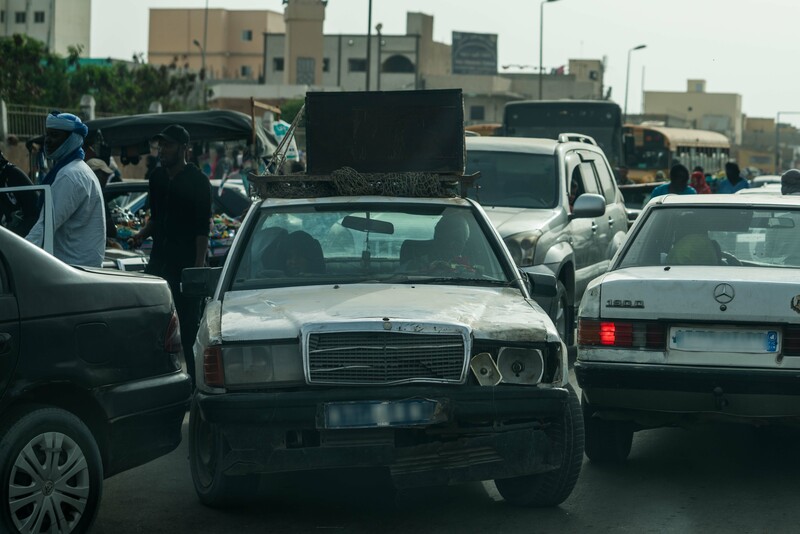 Old cars are cool, sure, but cars pushed this hard, held together with string and duct-tape and spewing filth into the lungs of families, have a tinge of tragedy, both ongoing and impending, that we all have to live with. Want to see the future of transportation? Spend 96 hours in India. The Toyota's owner drove her car over 7,000 miles from Cape Town to London. The owner had reported that he couldn't remember where he left it. Is that... is that algae?